Chris Bennett made it look easy as he aced his checkride and received his Private Pilot Certificate after instruction from CFI Erik Schmidt. Chris will now be upgrading to a DA-40 which he will pick up out East and fly back to RHV on a transcontinental XC. Congratulations Chris! 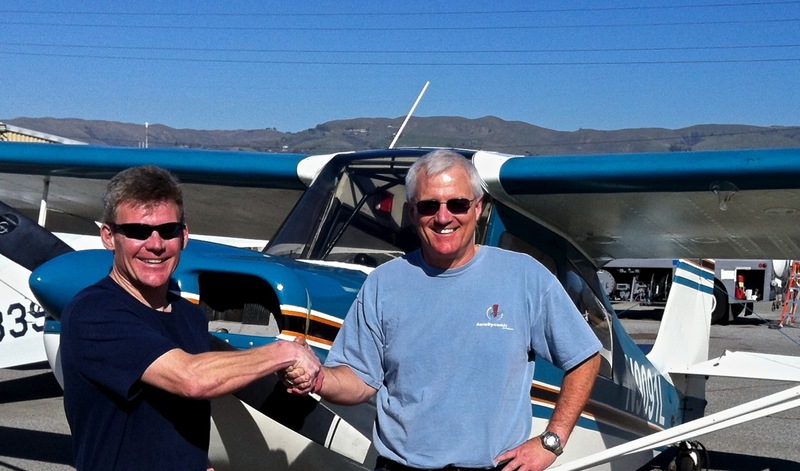 Michael Busch trained with the guidance of CFI Erik Schmidt not just to proficiency, but to fluency. After an outstanding checkride in Citabria N1806G, DPE Sherry Diamond presented Michael with his Private Pilot Certificate. Excellent job, Michael!